Small leaved herbs such as thyme, oregano/marjoram, rosemary and some sages can easily be gathered and dried in small bunches. 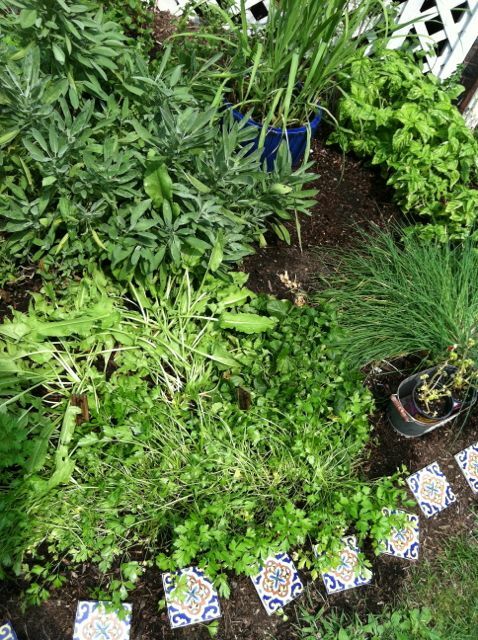 Obviously, herbs can be harvested, used fresh or dried, anytime during the growing season. 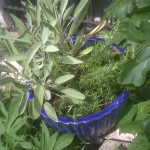 Since the weather is unseasonably cold, I am preparing bunches of herbs for cooking over the winter and spring. These herbs can be used in cooking by the sprig and so can be dried in bunches. To dry herbs, tie the bunch with cotton string or ribbon, and hang to dry in a warm place. 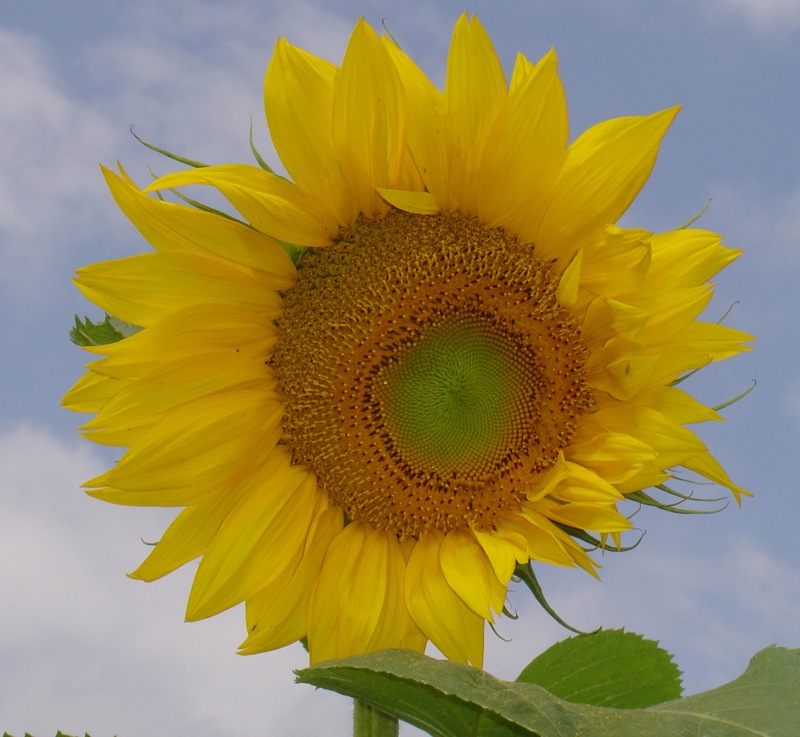 The space should be without direct sunlight and well ventilated. These small leaved herbs can easily be stripped from their stems or an entire sprig removed when dried. The purpose of drying herbs is to capture as much of the fresh flavor as possible. Aficionados recommend gathering herbs for drying in the morning before the sun has warmed the plant as the peak flavors of herbs dissipate in heat and sunlight. 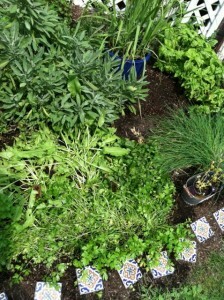 Ideally, wash the herbs you plan to harvest with the hose the day before. Or you can rinse them gently in cool water in the sink. Bundle and hang to dry. The quicker you harvest and dry the herbs the more aroma and flavor is captured in the plant’s leaves. Thyme can flavor just about any dish– except in Asian recipes perhaps. 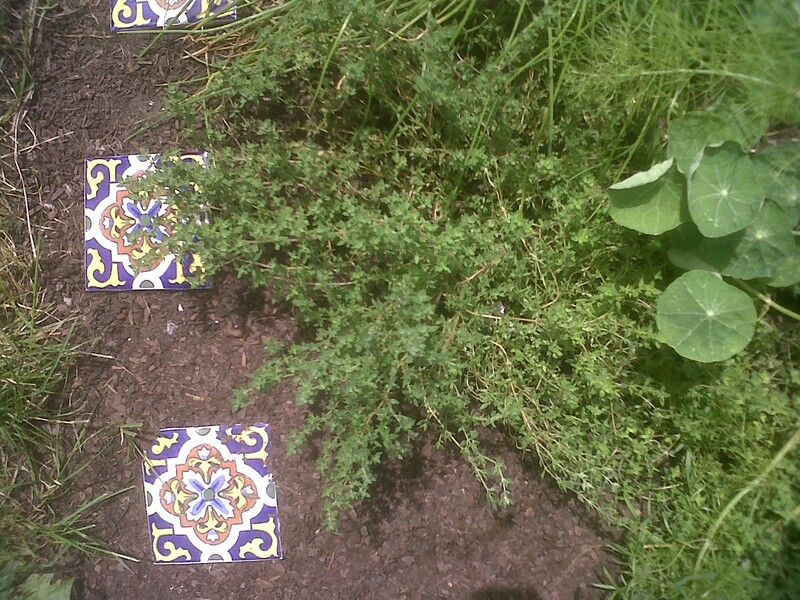 Native to the Mediterranean and Northern Africa, thyme has a peppery, piney smell. It goes well with custard, fruit salad and pickles as well as meats, soups and casseroles. It grows a profusion of dark green leaves which are used whole and often on the sprig. Rosemary too hails from the Mediterranean, has a clean, pungent, piney aroma and is versatile in cooking. It has gray-green needles, spicky leaves that do not soften in cooking. Rosemary prefers warm weather and is an annual here in Chicago. I use an entire sprig in the pot so I can remove it before serving. Rosemary adds lovely flavors to roasts, chicken and stews as well as potatoes and mushrooms. Rosemary will store in a zip lock bag in the refrigerator for up to one week. You can also freeze rosemary but both it and its dried version are noticeably inferior to fresh. Also native to the Mediterranean, oregano and marjoram are now considered varieties of the same herb. Marjoram does not tolerate frost and is an annual in Chicago. It has small, soft leaves and produces an edible white flower. 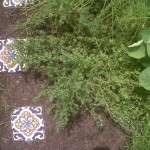 Oregano has larger, gray-green leaves, a more assertive flavor and winters with a good mulching. 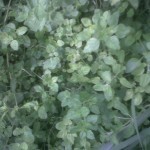 Both oregano and marjoram are members of the mint family. The leaves of each dry easily. If dried quickly, they will retain and even improve in fragrance and flavor. The leaves can be used whole in cooking or crumbled. More on herbs over the next few weeks. 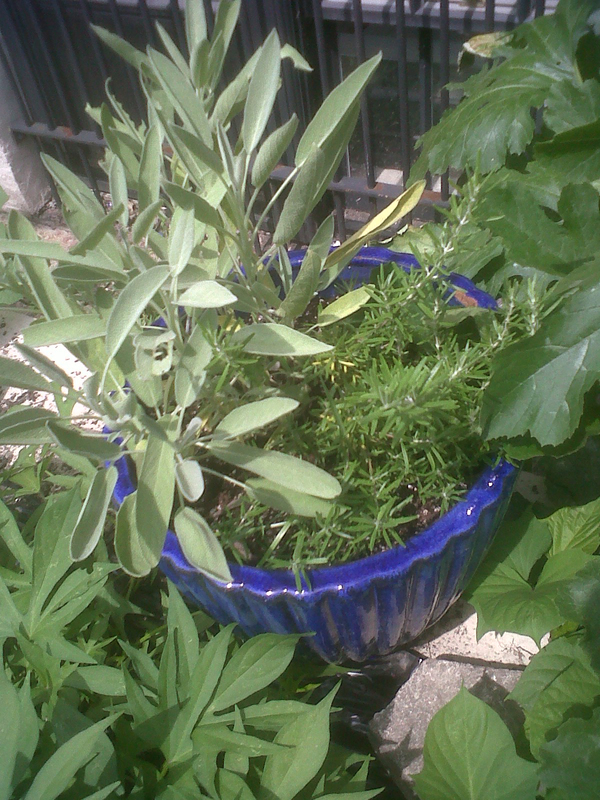 This entry was posted in harvesting, oregano & marjoram, rosemary, sage, thyme. Bookmark the permalink.